Not One, But TWO Adoptions! TGIF!! Let's get this weekend started the best way we know how.... by announcing not not one, but two adoptions! 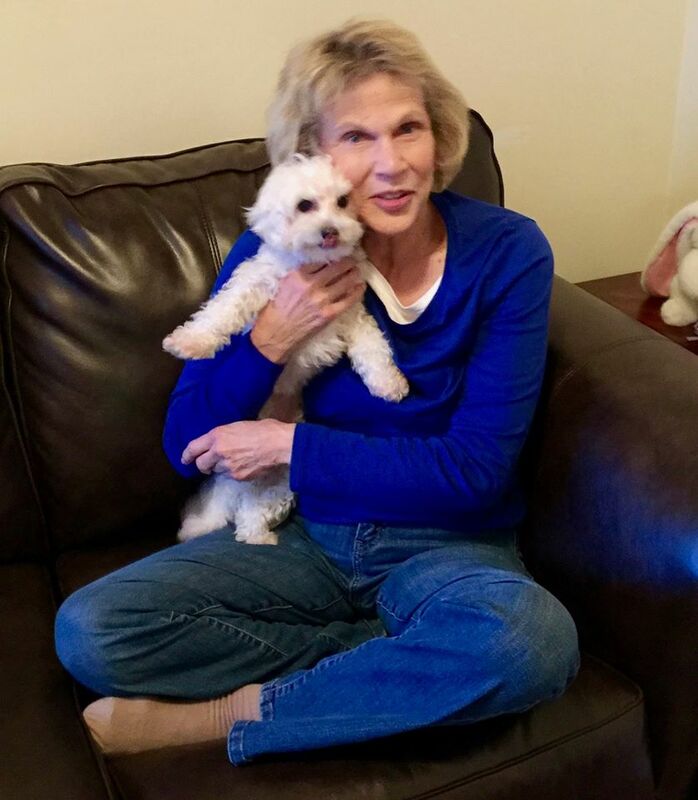 Chispita, age 14, our sweet and tiny poodle mix has found her happily ever after with her new mom, Eileen. Lots of time spent snuggling on the couch is in this sweet pup's future and we have no doubt she will be pampered in her golden years. 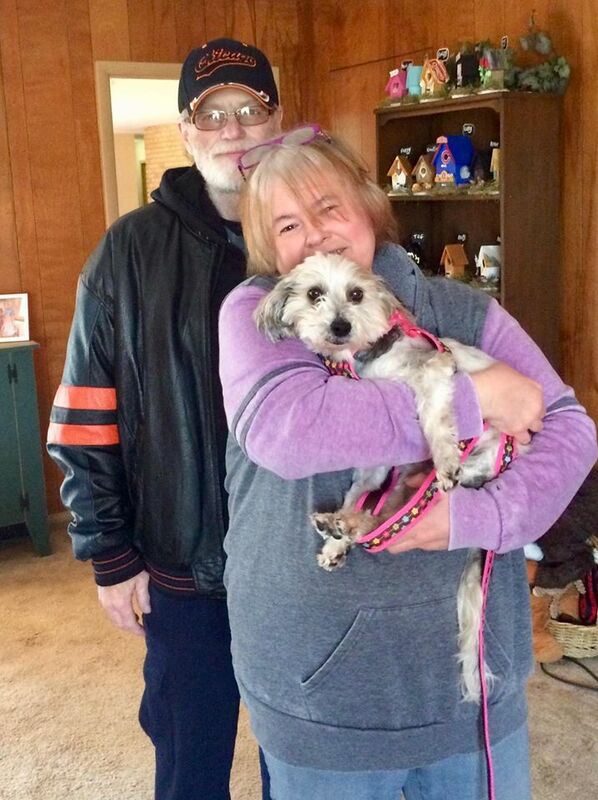 Violet, age 8, now calls Sally and Richie mom and dad, and she has absolutely stolen the hearts of her new family! 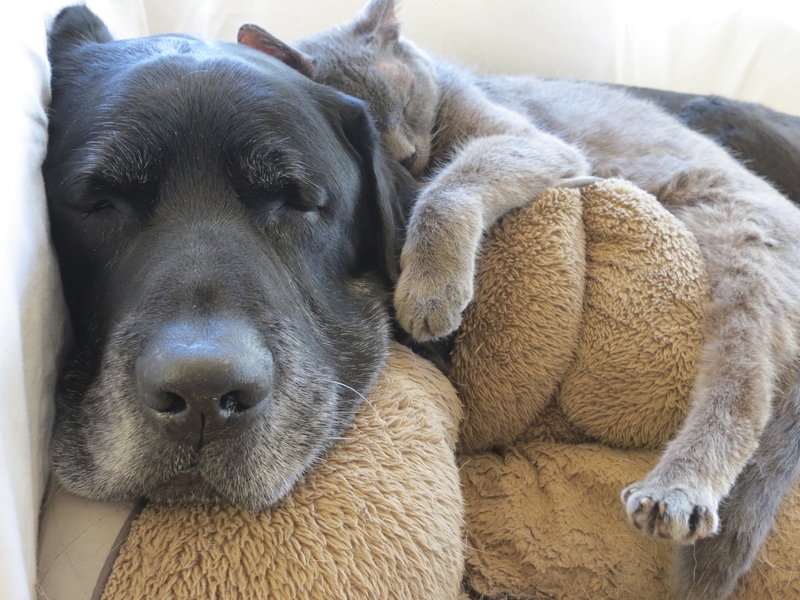 She has two siblings of the canine persuasion and we're quite certain she is loving her new life! We welcome Eileen, Sally and Richie to the Young at Heart family of adopters and thank them for giving a senior pet a second chance! Here's to the weekend and celebrating forever families!